The Flor de las Antillas cigar brand is the creation of the Garcia family in their My Father cigar factory in Nicaragua. The Flor de las Antillas cigar was created to honor the largest island of the Antilles, Cuba. The band utilizes accents from the original early 19th-century artwork. 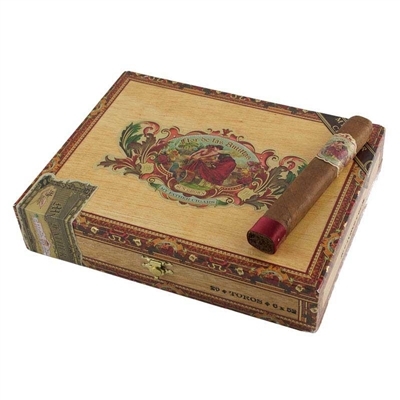 The Flor de las Antillas cigars are a medium-full to full-bodied blend that delivers the signature My Father spice with hints of cocoa flavor. The blend is comprised of a sun-grown wrapper harvested from the “Las Marias,” farm owned by the Garcia’s in the region of Namanji in Esteli, Nicaragua.